﻿ Best Price on El Almirante in Granada + Reviews! El Almirante is a pleasant, eco-friendly hotel located in Granada's historic center, 1640 feet from Granada Cathedral. Set in pretty gardens, it offers an outdoor pool, sun terrace and free Wi-Fi. 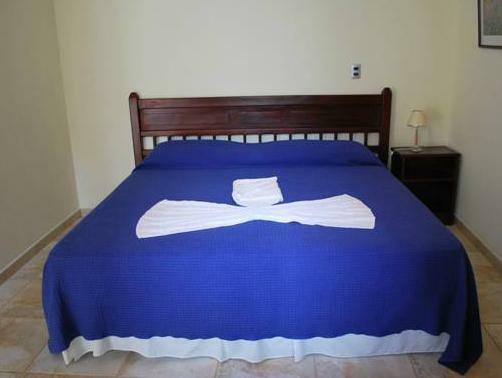 The colonial-style, air-conditioned rooms at Hotel El Almirante Granada all include eco-friendly appliances. Each has a plasma cable TV, mini-bar, safe and private bathroom. Breakfast is served daily and the hotel restaurant serves both regional and international dishes. There is a comfortable lounge and bar and on Saturdays there is a BBQ on the restaurant’s courtyard grill. The hotel offers car rental and tourist information. Pretty central park is just a 5 minutes’ walk away and you can go fishing or on a boat tour round Lake Nicaragua, 10 minutes’ drive away. El Almirante offers free parking and is 35 minutes’ drive from Managua International Airport.